Is reverse osmosis water safe for dogs?All living things needs clean water to survive. Your dog is no exception. While you are enjoying a glass of refreshing and healthy filtered or purified water, doesn’t your furry companions deserve the same ? Lets ask the pooch and find out! Like we humans, animals body molecular make up consists of about 80% water content. This is why almost all animal experts agree that cats and dogs, or any other pets for that matter, should be given the same clean and safe drinking water as is essential to all living beings. And we should all know that public water systems may contain significant amounts of potentially harmful impurities! 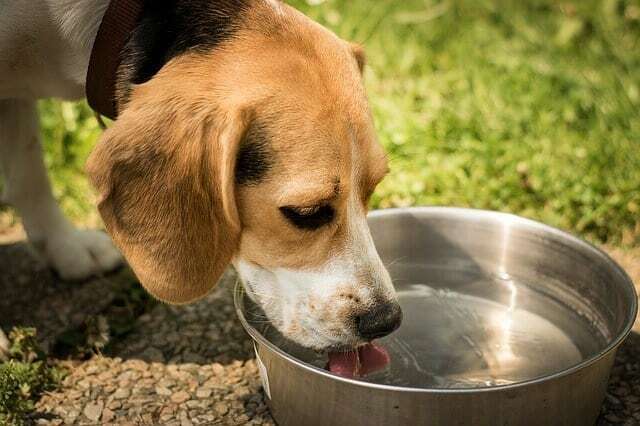 Unfortunately, many pet owners still think it’s ok to treat our furry friends second rate by filling his or her bowl with common tap water that may cause them and you more problems than you or dog can think of. It is very interesting to note that drinking tap water has similar health effects on dogs and humans! Are you aware there is a chance that because your dog drinks tap water that it may lead to urinary tract disease? Did you know that the presence of fluoride and also the ingestion of hard water for long periods of time may lead to bone and skeletal problems? You can learn more about the potential health risks for your pet associated with drinking common tap water in this comprehensive article. Are you aware that there are more than 60,000 potential chemicals that can contaminate your water supply? EPA lists many potentially water borne contaminants on their website, including their possible sources and health effects. Some of the contaminants in tap water may include lead, fluoride, volatile organic compounds, pesticides, chemicals, heavy metals, viruses, bacteria, parasites and even pharmaceuticals and radiological substances. Do I have to say more? Tap water is one of the many privileges of l this nation ,but it is sad that many believe that tap water maydo more harm than good to your family and pets alike. For quite some time already, reverse osmosis, popularly known as RO, has been praised by many users as a very effective water filtering apparatus. Most home RO systems in use today usually employ up to 4 or 5 stage filters on the average. While some have even more stages or filtering processes. Each of the filtration stages are responsible for filtering out certain impurities, freeing the water of potentially dangerous health risks and finally providing your dog with safe and pure H2O. If you are a dog owner who is data driven, there are trusted scientific measures to determine how effective a RO system is. A Total Dissolved Solids meter, or TDS meter, measures how many totally dissolved substances there are in your water. The amount of TDS found in your drinking water may vary greatly depending on your water source, but a typical TDS found in a city’s water supply is at around 200-400 ppm. RO systems are a very effective way of removing these substances that can may consist of who knows what. A TDS meter can show you exactly how much TDS is removed by your RO system. A reverse osmosis system urge the tap water through semi-permeable membranes which are typically made of polyamide resins or cellulose acetate with microscopic holes, then through a series of different type filters and then finally through a polishing chamber for even greater purity. 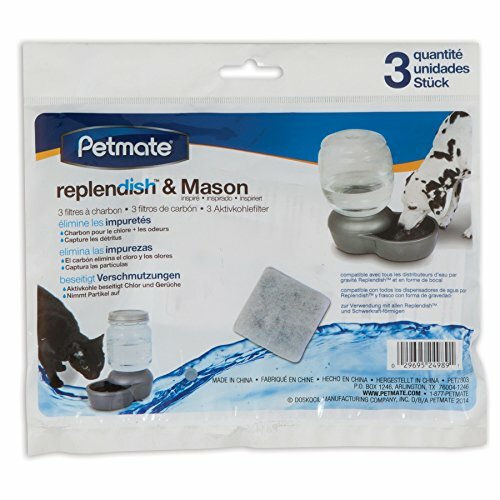 The membranes hold back plenty of contaminants, making it a great choice for home purification systems that all kinds of pets would surely benefit. During the filtration process, the RO units uses normal water supply pressure to function. They are also quiet and fit under your kitchen sink. If you are worried about your power consumption, many of home RO systems do not need electricity to function. Better yet, the RO membranes usually have a long lifespan which can last up to five years. The entire purpose of a RO filter system is to give your family, pets included, with safe and drinkable water right in the comforts of your own home. What Are the Contaminants that RO Effectively Removes? 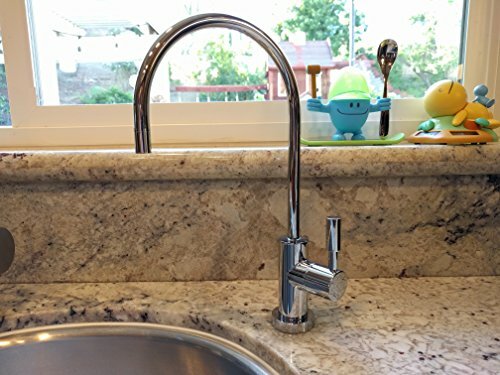 According to CDC (Center for Disease Control and Prevention), reverse osmosis systems have a very high effectiveness in removing protozoa, bacteria, viruses, and will also remove common chemical contaminants including lead, chloride, and sodium. 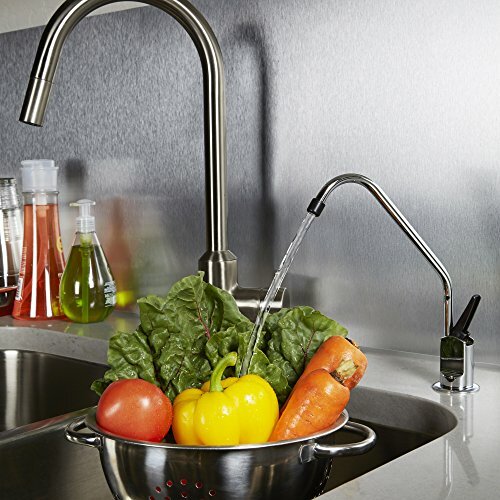 It may also reduce significant levels of fluoride, arsenic, radium, nitrate and many more. This high effectiveness is perhaps due to the fact that a reverse osmosis filter has a microscopic pore size of about 0.0001 micron. Apart from the wide availability of different home RO systems, there also many different types of RO membranes to choose from..
Referencing the effectiveness of reverse osmosis filtration technology “Is reverse osmosis water safe for dogs” Porter answers with is a resounding yes. You can learn more relevant insights of RO water by reading this informative article. My dog likes pizza, dog biscuits and a refreshing bowl of healthy water to wash it down with since he’s not old enough to drink beer. We end with a resounding WOOOF!